What would being mindful bring to cleaning? Safety. That’s how Yvonne Percival, Kleenrite Customer Services Manager perceives her cleaners to have become. They have become mindful after putting them through Careerforce supported training. 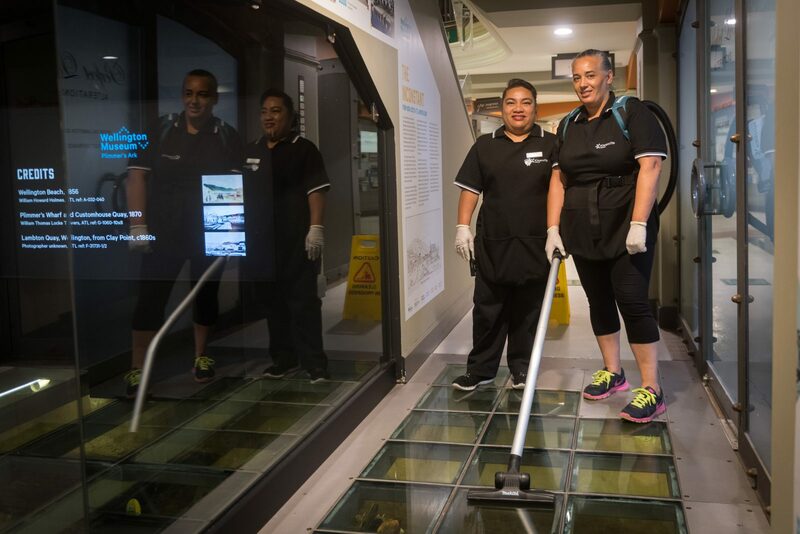 Kleenrite puts through every staff member, who have been with them for a year, through training to achieve the New Zealand Certificate in Cleaning Level 2. Then they offer those interested to progress to higher level qualifications. “It’s really important to us. It’s one of our founding principles from way back then. Chris Begley, our General Manager, and the company’s goal is to be as close as possible to 100% fully trained on Level 2,” says Percival. Cleaners operate machineries and handle chemicals. Percival said that being mindful also ensures that they themselves are safe. Leotina Tagoai, who is also working towards achieving her level 3 certificate shared that the training made the job a lot easier for her. She says her understanding has increased. “I now have a better understanding of the health and safety practices and confident I’m actually completing them properly,” explains Tagoai. Percival can also attest to the quality of work and service improving as a result of training. Supporting their staff to achieve a qualification is an investment they are happy to make – they believe it pays off in terms of client satisfaction. She added that her personal ultimate goal is to train staff so someone can step up to replace her one day when she is ready to retire. “Touch wood – I might have won lotto by then!” she jokes.